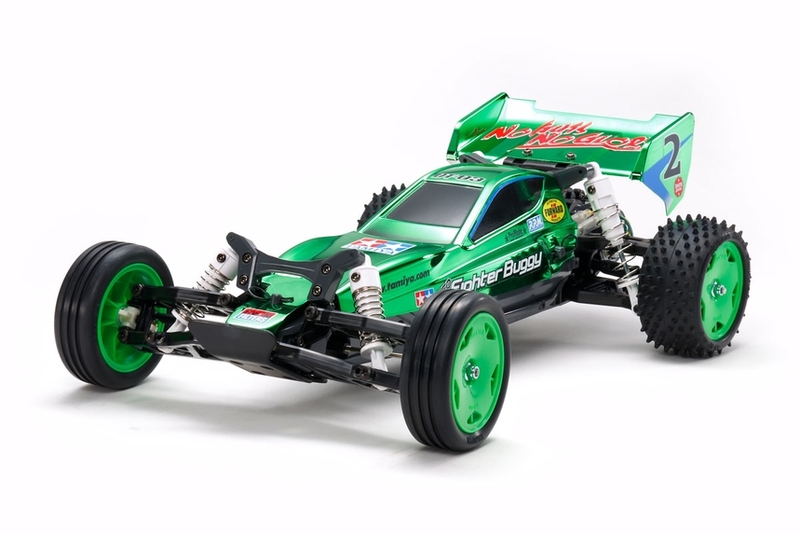 This is a Limited-Edition kit of the Neo Fighter Buggy. It includes a special chrome green polycarbonate body that is pre-cut along with green colored wheels. 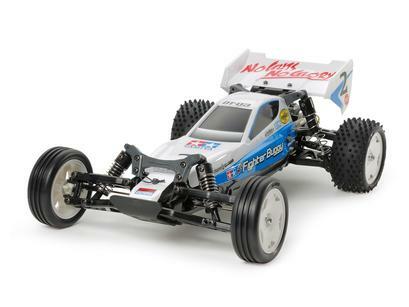 The Neo Fighter Buggy is an easy to build R/C kit on DT-03 chassis platform. Intended as an easy-to-get-started model to encourage young drivers to enter the world of R/C, its intuitive yet tough design allows hassle-free assembly and gives less experienced users the opportunity to get to grips with R/C model composition and construction. •	1/10 scale R/C model assembly kit. •	The monocoque DT-03 chassis features 4-wheel independent suspension for excellent off-road performance. •	Utilizes a longitudinally-placed rear motor, rear-wheel drive set-up. •	Long wheelbase design enables stable performance. •	The angle of the skid-shaped underside has been increased to raise the car’s off-road potential. •	Features green chrome plated polycarbonate material body. •	Includes a torque-tuned motor and CVA shock units. •	Includes 540 Torque Tuned motor. •	Requires 2-channel radio, steering servo, 7.2 volt battery pack and charger.